If you or a loved one has been charged with a DWI, you need to understand the severity of the situation and act quickly. Several serious consequences can come from a conviction. You need proper representation to ensure that your case is handled correctly. The best Houston DWI lawyers at Scheiner Law Group are ready to take on your case and help you get the best outcome from an otherwise unfortunate situation. Practicing law since 1992, Grant Scheiner has truly made a name for himself as a Texas criminal defense lawyer. He is board certified in criminal law and has extensive experience in criminal defense cases. 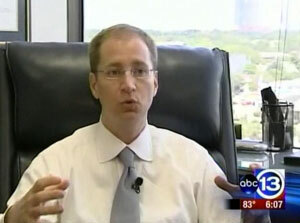 As a Houston resident, Mr. Scheiner enjoys taking care of his neighbors and keeping justice alive in his city. Named as one of Houston’s top lawyers every year since 2006, a Texas Super Lawyer, and one of the top 100 trial lawyers since 2007, Mr. Scheiner has proven himself time and time again. In addition to being a successful DWI attorney in Houston, Mr. Scheiner is incredibly familiar with the field sobriety test used throughout the area. In fact, he has been trained by the National Highway and Traffic Safety Administration and the International Association of Chiefs of Police, and he is a certified instructor of the field sobriety test used in Houston. Additionally, Grant Scheiner is well known as a writer and lecturer, and he has extensive experience instructing other lawyers on effective cross-examination strategies. The popular publication of Texas Criminal Defense Lawyers, Voice for the Defense, featured Mr. Scheiner’s article, Attacking the DWI Video, as its featured cover story. 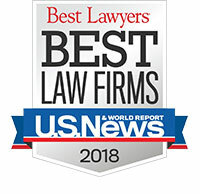 It received much acclaim from experts in the field and is an incredibly well known and important article for DWI defense attorneys everywhere. In the state of Texas, DWI is the term applied to driving while intoxicated or, colloquially, drunk driving. (Some people refer to it as DUI, although, technically, DUI in Texas usually applies to minors.) Many of the same laws and penalties apply whether you are driving a motor vehicle, flying an aircraft, operating a boat, or assembling or operating an amusement ride. Texas laws are not restricted to alcohol; a driver may be charged with an offense if they have taken a controlled substance, a drug or any other substance that may impair their ability to drive safely. This even includes certain prescription or over-the-counter medications, regardless of whether you had a valid prescription from a physician. In certain circumstances, the penalties for DWI may be enhanced. These include prior convictions, driving while intoxicated with a passenger under the age of 15, and being involved in an accident in which someone is killed or seriously injured. The penalty for an ordinary, first-time offense may also be increased if the persons alcohol concentration was higher than .15. A driver’s blood or breath alcohol concentration is often assessed to determine whether the driver is above the .08 legal limit to operate a motor vehicle, aircraft, boat, etc. In most situations, anyone who has been arrested for a DWI conviction in Texas has the right to a hearing. To get the best outcome, you should absolutely request this administrative hearing, and it should be used to contest the loss of your driver’s license. Your best chance of winning this hearing and having a positive verdict in your Houston case is to hire an experienced and proven lawyer. Find more information here about the 15-Day Deadline details. Be smart and know your rights when stopped for DUI. What Are the Possible Consequences of Receiving a DWI? Although every DWI is different, there are some general consequences that may be expected from typical convictions. Keep in mind that the more convictions you have, the harsher the consequences may be. In addition to those mandated consequences, the judge who oversees your case may require additional penalties. Court appearances are expected, but many people are unaware that they may also be required to complete a probationary period, attend mandatory classes, and undergo an alcohol assessment, all of which may require additional costs. Car insurance fees may also increase significantly, and some insurance companies may not even approve insurance coverage for someone with a DWI conviction. In Texas, a DWI conviction will almost always stay on your record for life. Your chances of getting a job, renting a home, or getting into the college or university of your choice. Prospective employers, landlords and college admissions officers may access your criminal record. You may also have to declare your arrest on an employment application. Your ability to obtain a firearm A person may be found ineligible to obtain a concealed handgun license if he/she has been convicted of a Class “A” or Class “B”. At a minimum, DWI is a Class “B” misdemeanor. International travel. Some countries will not permit entry to individuals who have a criminal record. Despite shared borders with the United States, it may be difficult to enter Canada or Mexico with a history of DUI. If you have a record of DWI, it is best to seek solid information from an immigration lawyer before planning your trip. Your car insurance rates may increase substantially. For all of the above reasons, it is more important than ever before that you engage an experienced lawyer if you are arrested for DWI. No one should be unjustly punished in the well-intentioned zeal for keeping genuine offenders off the roads. If you or someone close to you has been arrested for DWI, you need an experienced attorney to help you get through it. The lawyers at Scheiner Law Group have many years of experience working with individuals who have been arrested for DWI, and we have successfully helped many people get their cases dismissed or receive a verdict of not guilty. We are a top-rated and trusted law firm in Houston, and we take great pride in our experiences and successes in past and current cases. Feel free to check out the list of our previous cases and their outcomes, and know that we are fully prepared to take on your case, no matter what type of charge or other criminal charges you are facing. We have been working in Texas for years, specializing in DWI and criminal defense. Our attorneys have comprehensive knowledge in defending all types of DWI charges in the Greater Houston area. Most people who are arrested for a DWI assume that their case is hopeless and cannot be won. Because of this assumption, many individuals don’t bother to hire legal representation. However, speaking from years of experience, Grant Scheiner and his team are ready to take on your case and get you the best possible outcome, regardless of how hopeless the situation seems. The tactics Mr. Scheiner will employ will help identify a number of possible defenses that will lead to you winning your case. We know how important a strong and assertive defense can be in a DWI case, and we are prepared to be exactly that while we fight your case for you. An experienced and proven attorney can be the difference in having your case dismissed or being proven as not guilty, and losing your case and having to deal with the many implications that a DWI conviction brings. When you select us as your legal team, we will sit down with you and thoroughly discuss every aspect of your DWI arrest and how we need to proceed with your case. We will be honest with you and do whatever we can to ease your mind and prepare you for what’s ahead. If you need a DWI lawyer in Houston or the surrounding area, contact Scheiner Law Group and discover who we are and what we can do for you. Whether you are stopped for suspicion of DWI (often called “DUI” in other states and “DUI Minor” in Texas) or are under investigation for assault, drugs or any type of crime, you do not have to answer police questions. You can politely tell a police officer or detective that you do not wish to talk. It doesn’t matter whether or not a police officer has read you your “Miranda rights.” You always have an absolute right to remain silent. Tip: Never lie to a police officer or detective. You are always better off saying nothing than lying. Even if refusing to talk makes your police officer angry, just be firm and polite. Never use bad language or argue with a police officer. Remember there is a good chance your encounter with a police officer is being audio- and video recorded. A person who acts and sounds calm and polite on a police video will often do better in court than someone who loses composure. Tip: If you get detained or arrested, the police must give you reasonable access to a phone. This does not mean “only one phone call.” If you talk with someone on the phone, do not discuss the details of the arrest or the case against you. Police agencies will often record phone calls for possible use against you in court. CPS Example – If you are contacted by Child Protective Services, the Texas Department of Family and Protective Services or any government agency regarding a matter that might be criminal in nature (for example, child sexual abuse or injury to a child, disabled person or elderly person), you should not speak with any government representative, unless an experienced criminal attorney advises you to do so. Just say, “I do not wish to answer any questions until I have spoken with an attorney.” Say it repeatedly, if necessary. Tip: Cases involving children, disabled people and the elderly can be emotional and difficult to navigate. You should contact a criminal attorney without delay so that you can be sure that your rights are protected and the choices you make are informed. If you are stopped or detained on suspicion of DWI, a police officer may ask you to do field sobriety tests. The three basic tests involve following a pen or the officer’s finger with your eyes (called a “horizontal gaze nystagmus” test), walking nine steps heel-to-toe on a real or imaginary line and nine steps back (called a “walk and turn” test), and standing on one leg for 30 seconds (called a “one leg stand” test). There may be additional tests, such as reciting the alphabet or tilting your head back, closing your eyes and estimating 30 seconds. You do not have to do these tests. Ever. It is possible for a completely sober person to fail police tests, which could then make it difficult for the sober person to defend himself in court. To refuse these tests, just tell the officer, “I do not wish to do any tests.” Remember to be firm but polite. Police usually video record their encounters with motorists and often record everything that happens inside a police car. So remain quiet and still when you are in a police car by yourself or during the ride to jail. 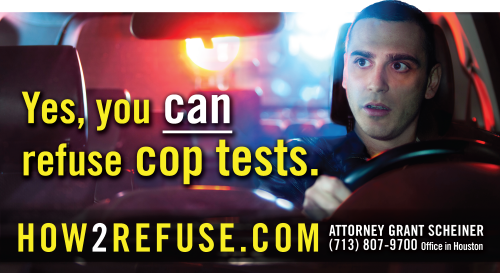 If the police arrest you for DWI or any alcohol-related offense, you do not have to give a blood test. (Even on so-called “no-refusal weekends” and “no-refusal holidays.”) Make the police get a search warrant to draw your blood. But never struggle or physically resist a blood test. Just tell the police and the person who draws your blood, “I do not agree with this blood test” (or words to that effect). Tip: If you fail to make it clear to police that you refuse a breath test and, further, that you do not give consent to a blood test, you may lose valuable legal rights to challenge the evidence against you in court. If you are in police custody and the police are interrogating you (i.e., asking you questions), you have an absolute right to remain silent. It doesn’t matter whether the police have read you your “Miranda Rights” or whether the police claim you don’t have any rights. You always have the right to remain silent. Tip: If you remain silent, you won’t have to remember the right to terminate the interview, because you won’t start an interview, to begin with! Tip: It doesn’t matter whether you are a suspect or merely a witness. A person may start out as a witness, only to find that after talking with police, the person is now considered a suspect. You should not speak with the police about any criminal matter without first speaking with an attorney. Once you are able to contact one of our Houston DWI lawyers, you will find that by following these steps, we are able to argue your case much more effectively. Disclaimer: This web page and contents of how2refuse.com and scheinerlaw.com are not legal advice and do not create an attorney-client relationship. This web page and contents of how2refuse.com and scheinerlaw.com contain basic information for people who want to know their rights and how to exercise those rights. Information herein applies only to police encounters in Texas. If you have been stopped, questioned or arrested in a criminal matter, you should contact your own attorney for advice. For professional help or if you are still unsure about what a DWI is, contact Scheiner Law Group, P.C., where our goal is a dismissal or acquittal in every case. We serve the greater Houston metropolitan area, including the counties of Austin, Brazoria, Chambers, Walker, and Waller.